It is quite clear that Steve is someone passionate about sharing his knowledge and acquisitions of Star Wars themed items with the public. So it is disheartening to hear that his museum was victim to the theft of over 100 items totaling around $200,000 in value. The theft occurred over the course of several months. 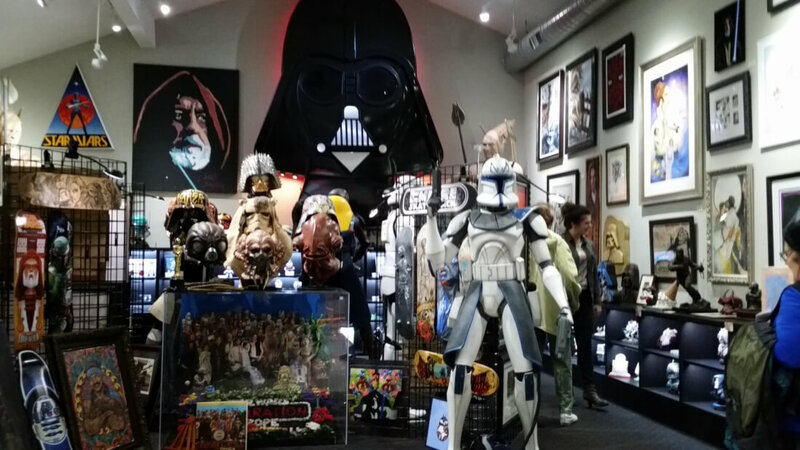 According to Mr. Sansweet, most of the pieces were vintage action figures that he had collected over the years. Steve discovered the items missing after he had heard from a friend and fellow collector that he too had lost a rare Boba Fett action figure in a theft. His friend, Philip Wise had posted on one of his Star Wars websites that someone had stolen his rocket-shooting Boba Fett prototype toy. Shortly after that, Wise was contacted by a collectibles dealer in Southern California who said that he believed he had purchased the hot item along with some other action figures from a man named Carl Edward Cunningham. Carl, "a well-known Star Wars collector and R2-D2 builder," was known to both Wise and Sansweet. The dealer, Zach Tann sent Wise an itemized list of other suspicious items he had bought from the man. Looking over the list Philip was able to conclude that the pieces were most likely from Steve’s collection. Tann, in cooperation with Wise, Sansweet, and local police returned as many of the stolen items as he had. He also provided police with enough information for them to get an arrest warrant for Cunningham. The sticky-fingered Star Wars theft surrendered himself to Sonoma County authorities in late March and was charged with felony grand theft. He is currently out on bail awaiting trial. It was a sobering experience for Steve since he knew and trusted Cunningham and considered him a friend. While Sansweet was able to recover several items, there are still many that are missing. He urges anyone who thinks that they may have purchased any of his items to contact him through a special “tips” email he has set up at his Rancho Obi-Wan domain.